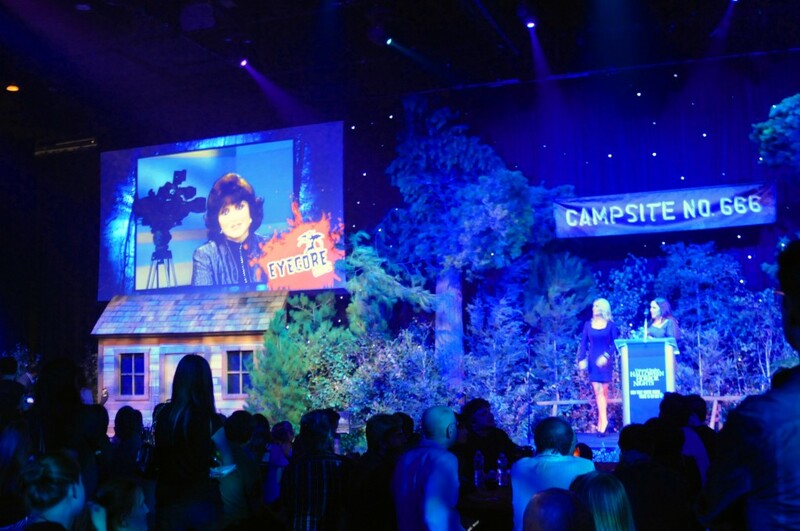 Behind The Thrills | The 2012 Eyegore Awards! 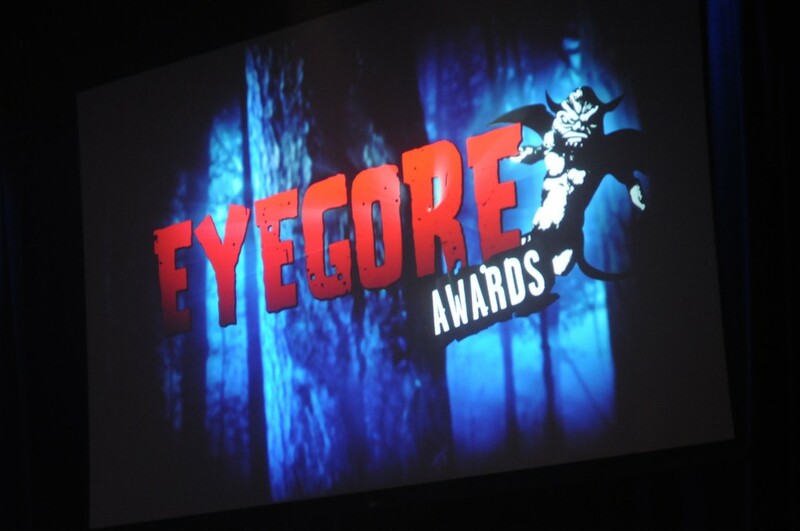 The 2012 Eyegore Awards! 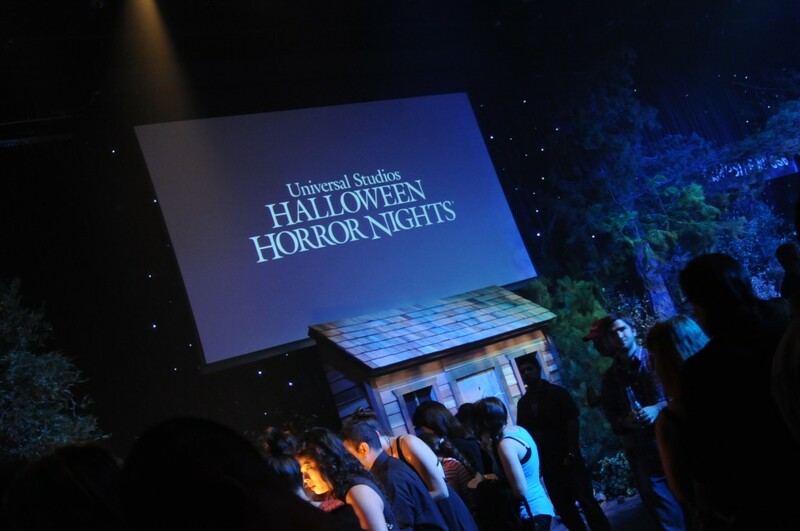 On Friday we had the opportunity to visit the annual Eyegore Awards taking place at Universal Studios Hollywood as part of the opening of Halloween Horror Nights. 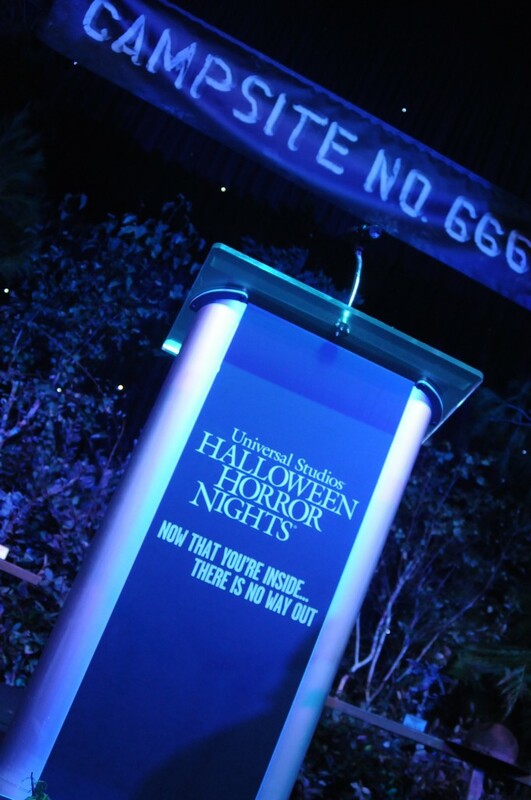 Each year, a series of celebrities from various horror movies, and media are honored with these distinguished award. 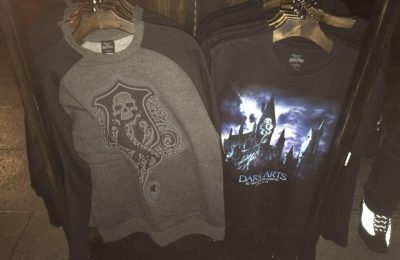 This year the setting was made to resemble an old campground with a very high level of detail that matched Horror Nights itself. 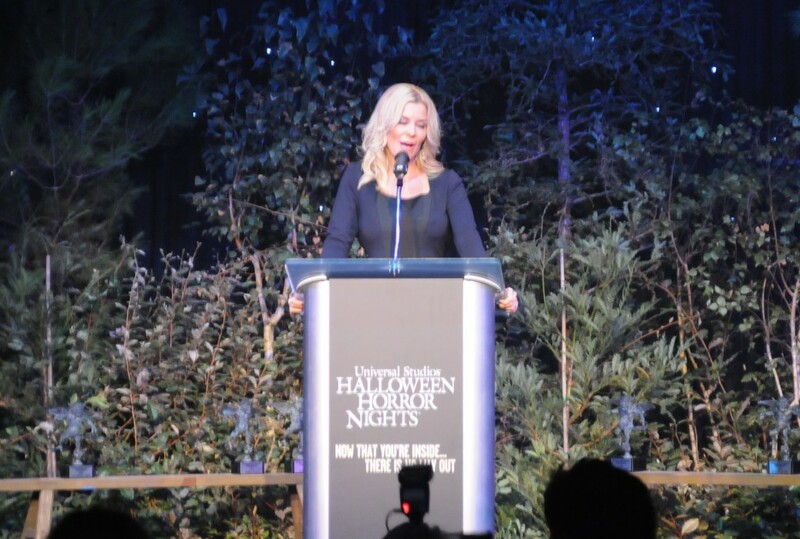 The event started as McKenzie Westmore, host of SyFy’s Faceoff took the stage and introduced the event. The show then went on to recognize actor Chad Michael Murray for his role in House of Wax and the upcoming The Haunting in Georgia. After, the mother-daughter team Angélica María and Angélica Vale accepted awards for their work in the popular series “Mujeres Asesinas 2” (“Female Assassins 2”). 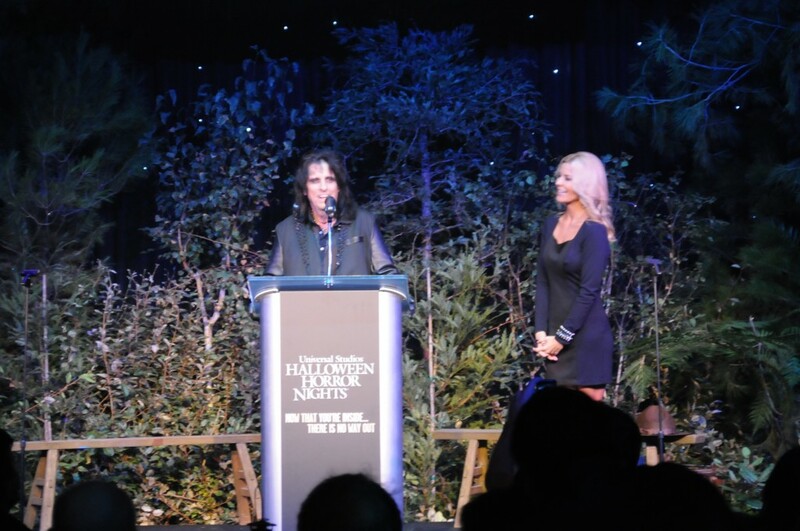 The mother was on location and could not receive the award at the time but she had a very special video message for her daughter and thanks her fans and all those who attended the event that night. Next up “Grimm” stars Silas Weir Mitchell and Bitsie Tulloch represented their and accepted their very own Eyegore. 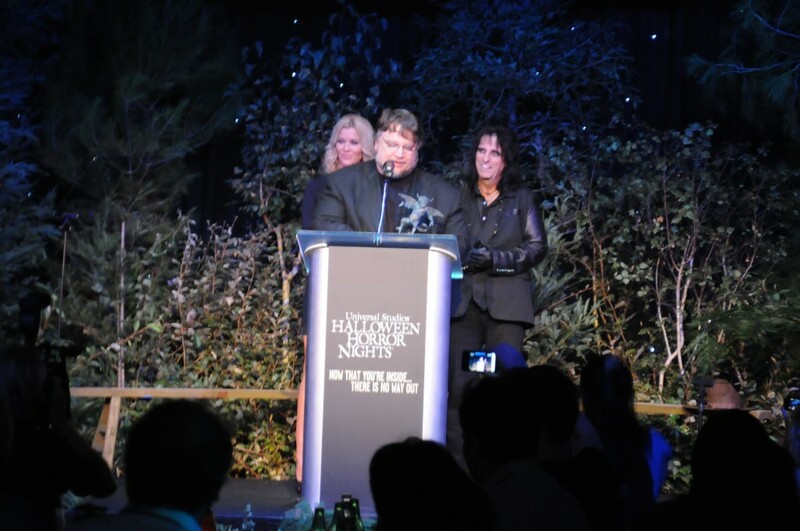 Lastly for the main event, the horror legend Alice Cooper took stage to present the final Eyegore award to Director/Producer Guillermo Del Toro. 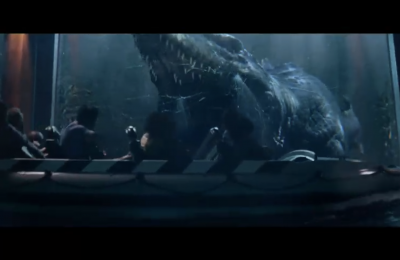 Before Guillermo took the stage they showed an all new preview of his upcoming Universal horror film “MAMA”, which looks like a frighteningly fun film, but a departure from his usual fantasy-horror films. The house lights rose and Guillermo was on stage receiving a standing ovation for his work. That’s it for the 2012 Eyegore awards. We’ve got a full video of the entire ceremony coming soon. 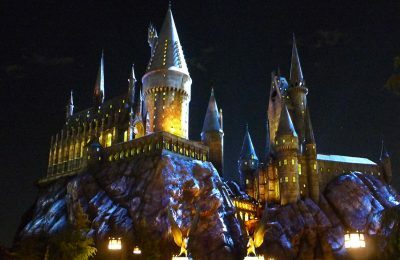 Be sure to follow us on twitter @BehindThrills, and do not forget to visit @HorrorNights for the latest on Universal Studios Hollywood’s Halloween Horror Nights.